The more I age, the more I tend to avoid looking in mirrors, so you won’t see too many reflections of me in my photo files, except perhaps this one, taken at the Natural History Museum in Salt Lake City. 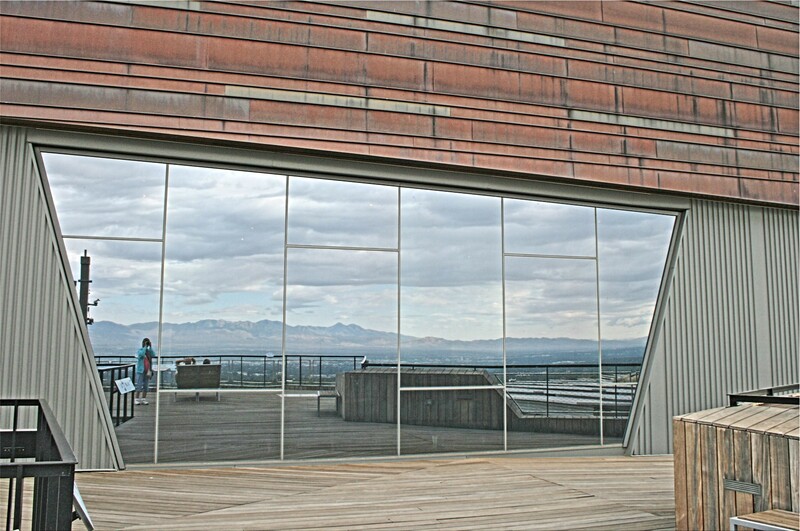 I got two for the price of one with this picture as I was shooting the outside of the museum and ended up capturing a nice reflection of the mountains. 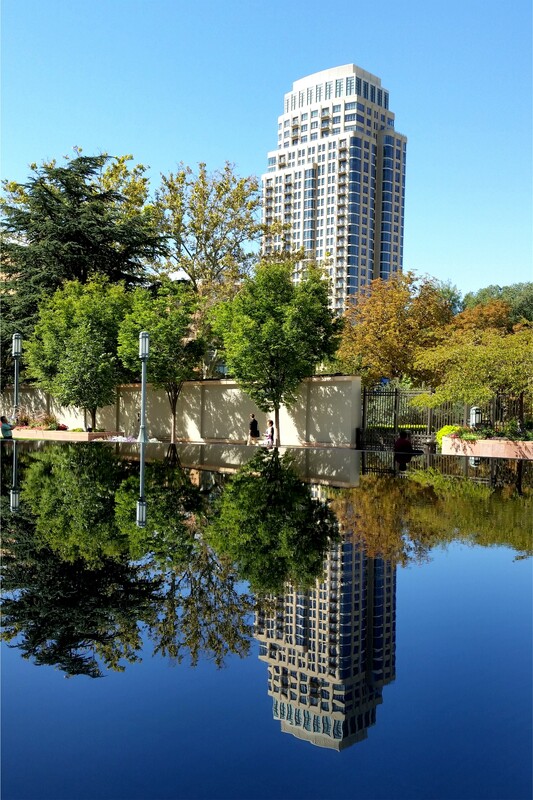 The image above was also captured in Salt Lake City, in Temple Square. Just right for Jen’s choice of topic for the Weekly Photo Challenge on The Daily Post which this week is Mirror. 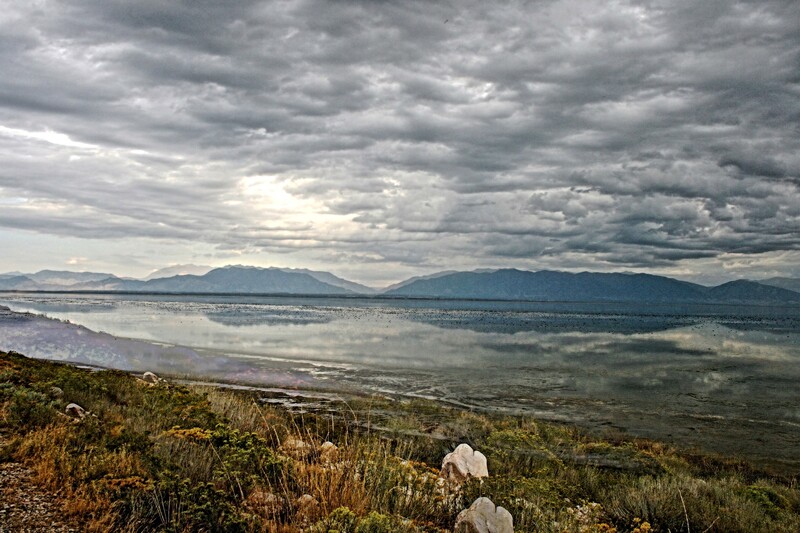 Still in the Salt Lake City area, the weather wasn’t quite so bright when we were forced to bring our visit to Antelope Island to an abrupt end as a storm moved into the area. Despite this, however, the lake managed to reflect the ominous mood of the clouds as they gathered overhead. 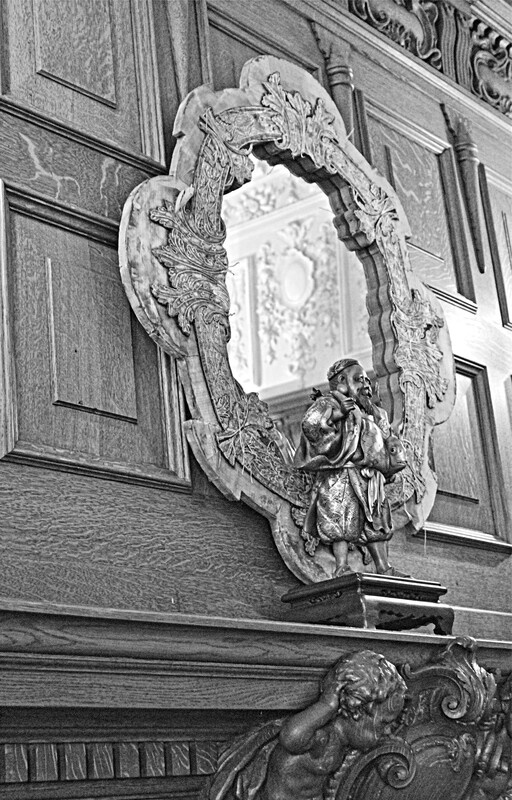 I couldn’t let this challenge go by without posting at least one picture of an actual mirror reflecting the ornate plasterwork in a room at the Biltmore Estate in North Carolina.